The Human Restoration Project: New Years Challenge! Your first New Years Human Restoration Project Challenge!! Today start your day with NO CARBS, and NO STORE BOUGHT JUICES for breakfast. So that means no cereal, no bagel, no toast, no home fries, no waffles, pancakes or frozen breakfast mystery food. No orange juice or apple juice etc. We are taking the sugar and high glycemic grains out of your breakfast for the day. It's easy, easier than you might think and tasty too! Do you have eggs in your fridge? Good...go get them out of the fridge. Take out 3 large ones or 4 medium to small ones. Now grab some onion, garlic, butter, and at least 3 veggies from your fridge. 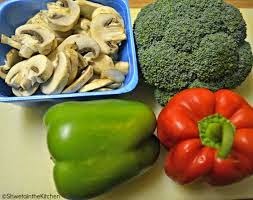 Might you have some mushrooms, green peppers, broccoli, kale, or spinach in your fridge? If not....start this tomorrow and skoot to the store this afternoon and get some vegetables in your fridge. How about a little cilantro, or parsley? They are packed with chlorophyl and micro nutrients that cleanse the blood and they add lots of flavor, use fresh herbs if you can. Most grocery stores carry fresh herbs in the produce section. Now, how about a few more herbs? 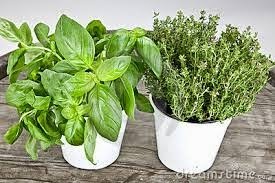 Have you got any basil, or thyme on hand? 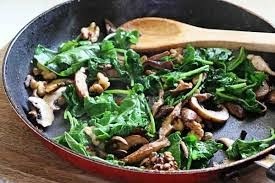 They are savory and delicious in this dish and also full of powerful detoxifying and fortifying nutrition. Okay! Now how about a piece of fruit? An apple, clementine or some berries perhaps? Grapefruit maybe? What do you have in your kitchen? Grab your piece of fruit and put it aside, it comes last. Not a banana if you can help it, they spike blood sugar a little more than say - some berries or a clementine. say about 5 inches worth off the bar, add your onions and garlic to the skillet and turn the heat to medium. 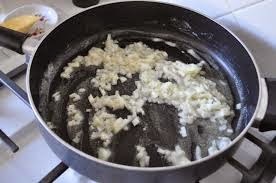 Let that simmer a minute or two until the butter is melted and your onions and garlic have softened a bit. Fat, like butter, in the absence of refined quick burning carbs does not cause arterial blockage and cholesterol build up. In the absence of quick burning fuel (like bread, english muffins, white potatoes and store bought fruit juice with added high fructose corn syrup and sugars) your body will USE THE FAT FOR SLOW BURNING FUEL. This will keep you full for hours!! YAY! No snacks for you! Throw in harder textured veggies first, did you find some green peppers or zucchini in your fridge? If so put those in there first. Add mushrooms next if you found some. Mushrooms are AMAZING. They are anti viral, anti bacterial and loaded with minerals. I try to eat mushrooms every single day if I can. 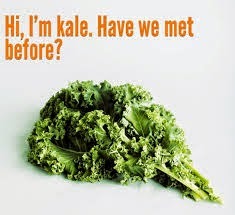 After a few minutes throw in the softer veggies like any greens you rustled up, spinach or kale perhaps. Let them simmer 4-5 minutes on medium/low heat and go beat your eggs. Once beaten, throw those eggs in there with those veggies and add a little salt to taste and let that all cook up. You can do this omelet style or scrambled. As your eggs begin to cook a little - throw in those herbs. An extra boost of detox and nutrition! YEAH! Look at this beauty! Packed with power! They will also make you feel very full and satiated. THIS is how we re-train the taste buds and hunger switch. This is how we turn the hunger switch off! NO ENGLISH MUFFIN with this meal. No sugars or fructose, no processed anything what-so-ever. This is real food. 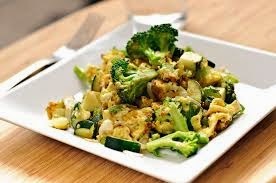 The veggies are full of vitamins, minerals and fiber and this gets you 3 servings of veggies in one meal. The herbs.....same thing! 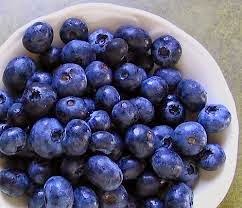 The fruit is packed with vitamins, minerals and that all important fiber. More power more power!! Fill 'er up!! 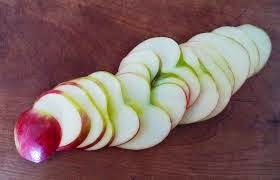 Now....while your eggs are cooking on LOW HEAT until done go get that fruit we pulled out. Wash it up, slice it and put it on a plate. When the eggs are done scoop them onto another plate and grab your tea, water with lemon and lime or a small cup of coffee if you wish. See if you can do one whole day and not eat any bread, chips, pretzels, soda, juice or packaged anything. There are so many other things to eat.